You can technically roast any vegetable but you need to group together those that are cooked almost at the same time to avoid over-cooking. 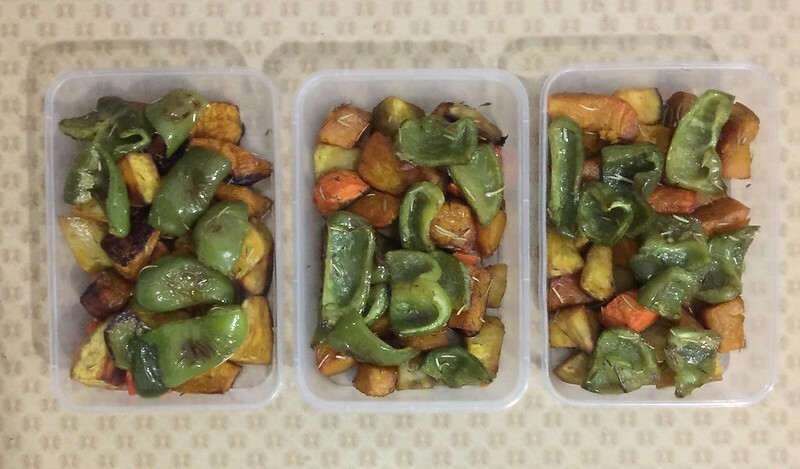 I made the mistake of scrimping on olive oil for the first batch, hence resulting to a semi dry roasted vegetables. I put more oil on the second batch and they turned out better. Eh kasi mahal ang olive oil kaya tinitipid-tipid ko pa nung una hahaha! 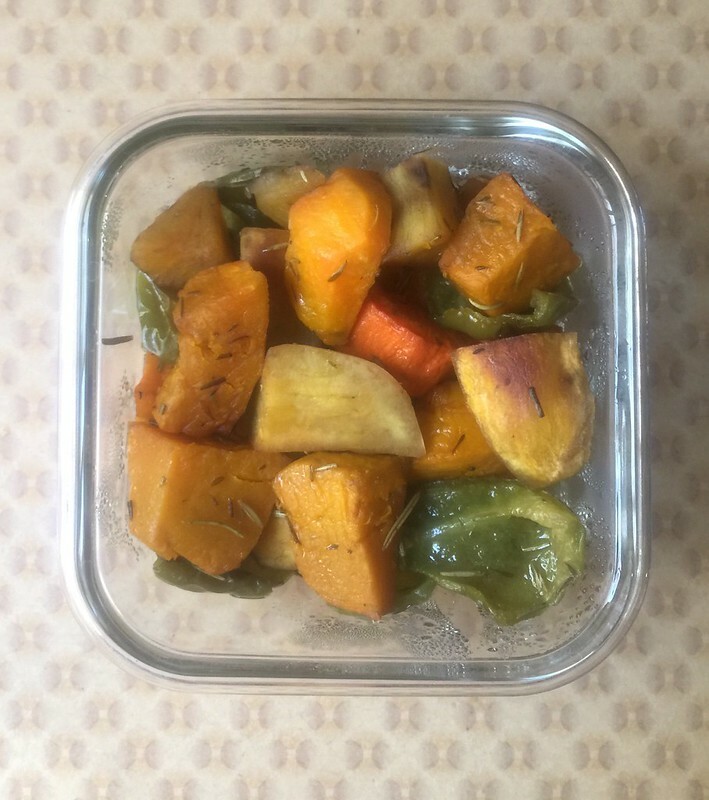 I roasted sweet potatoes, carrots and squash together. I roasted the bell pepper separately. I overcooked it. Must shorten roasting time. I did not have fresh herbs as required by the recipe so I replaced them with dried ones. It’s still flavorful. I’ll try the fresh ones next time if available. Despite the hiccups in cooking, I enjoyed eating these. It’s filling. I usually just have this for lunch and most of the time, I only get hungry after 4-5 hours.